The New Microblade Kids’ Skate: Real rolling. Real fun. 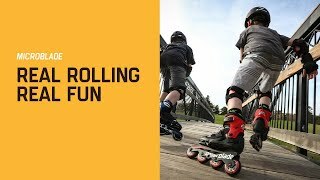 Having a positive first experience on skates increases the chance that kids will continue to skate which improves their fitness, balance, and agility… all while having fun. An added bonus is that skating is an activity they can enjoy their whole life. With this in mind, we continue to bring kids the best adjustable skates to enter the sport and develop new skills. 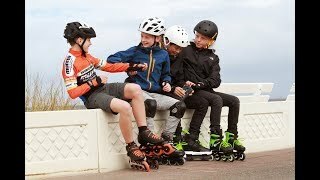 The Microblade is developed to bring comfort, stability and control for the young ones who want to roll. Starting at 17,5 cm MP ( size chart ) the Microblade can easily be adjusted 4 sizes to grow with kids feet. The support of the skate coupled with the premium padding is perfect for young skaters. The Microblade models are designed with engineered mesh for optimal breathability. A low center of gravity offers the young skater more stability which results in an increase in control and smoother ride. 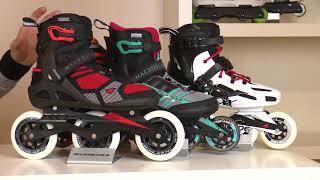 - Featuring a durable 3WD Aluminum frame with low center of gravity to provide increased stablity for young skaters. 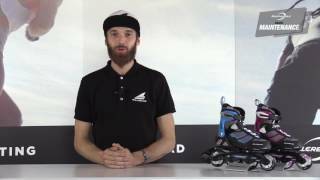 - Rollerblade® performance 80mm/82a wheels paired with SG5 bearings for a step up in roll quality and speed. - Easy to use top buckle closure and powerstrap for a secure and easy fit. - The Microblade comes with the brake on the skate. This model comes in a black/lime colorway. 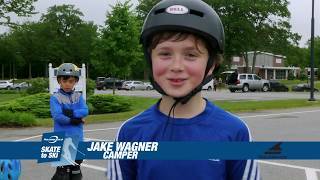 - Featuring a versatile and durable integrated frame with low center of gravity to provide increased stablity for young skaters. - Rollerblade® performance 80mm/82a wheels paired with SG3 bearings for a smooth roll. This model comes in 3 colorways: black/red, pink/bubblegum and pink/emerald green. - Featuring a durable integrated frame to get kids closer to the ground for a lower center of gravity. It also features a 3WD mounting system for upgrading to a 3x80mm wheel set up. 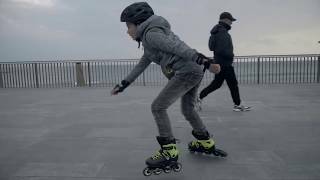 - Rollerblade® performance 72mm/80 a wheels with SG3 bearings for a smooth roll. 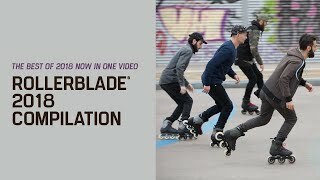 Follow this link for more information about the Microblade skates.